Hobbits really are amazing creatures. You can learn all that there is to know about their ways in a month, and yet after a hundred years they can still surprise you. Hobbits….Yes friends that’s where it all started so many years ago. The Fellowship of the Ring. Seeing Bilbo Baggins Hobbit house for the first time. Impressive. Most impressive. Inspiring. 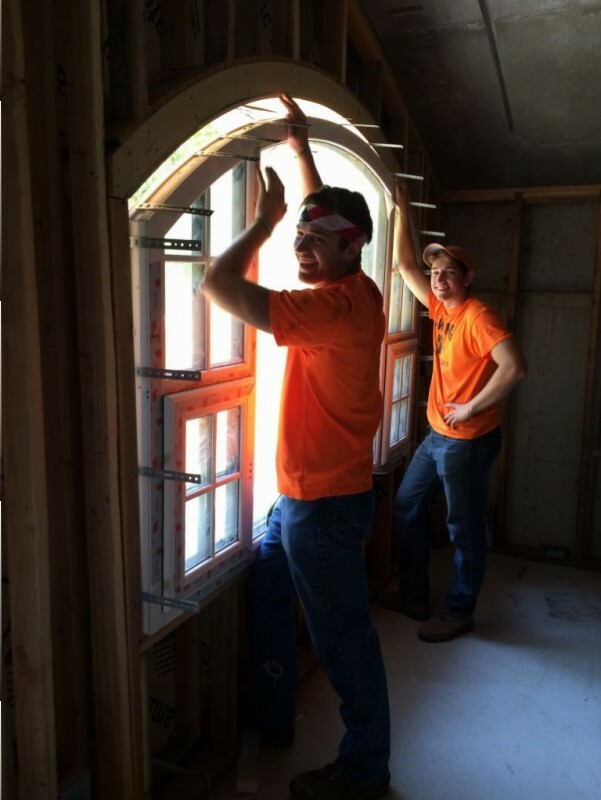 We installed our first window this weekend. I think you’ll like it. I do. 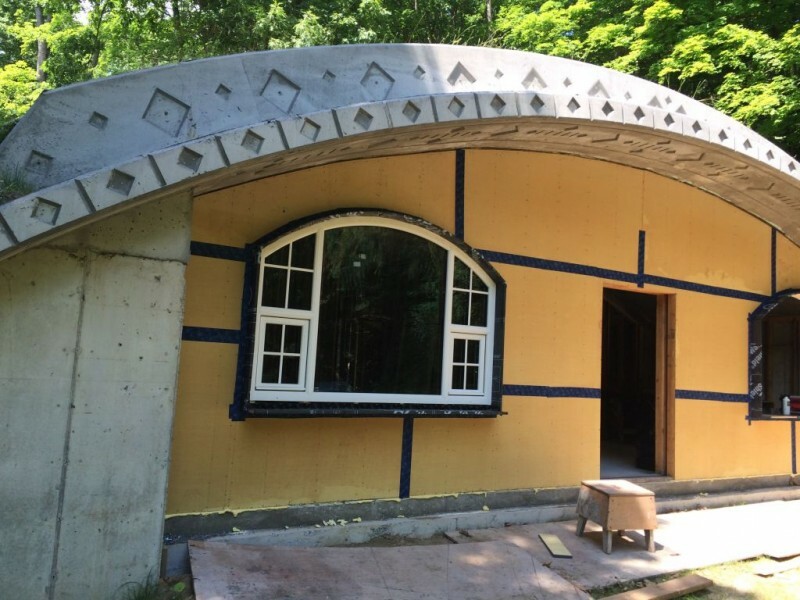 I could go on for a good long while about Hobbit House building and design. There is quite a bit to consider. Window location, style, size, color. Just one aspect of the big picture. Welcome friends to the continuing saga of Hobbit Hollow. One nail at a time people. That’s it. It’s sunday afternoon and I’m out at the pool. My Mother-in-Law is here. Not going to be able to get started until she leaves. She puts a damper on my creative writing skills. If you can even call them skills. For a guy like me who struggled his entire student career in English class. Yeah, I would have to call it a skill. She’s gone now so let’s begin. The dampness is lifting. I thought she would never leave. Oh yeah, the pool. So the pool store guy came out and put in the new filter on Wednesday. There is definitely a marked improvement since it’s been on. It’s sort of an aqua green now. I mean it actually looks like you could swim in it and not come out covered in slime. So things are looking up on the pool front. I was getting a bit hysterical for a while there. Why have a pool if everybody’s afraid to go in it? And believe me everybody was afraid to go in it. The family argument is what should the temperature of the pool be? I happen to be of the opinion that it should hover around 78 degrees. This is the most refreshing temperature on a hot day and is actually the temperature of the water in the cool waters of the caribbean. I really don’t know why I threw that in there but what the hey. Just a quick note for Radagast the Brown. I saw a Northern Flicker today as I was walking in from the pool. I initially thought it was a Pileated Woodpecker from the call it was making. It has a similar call apparently. This Flicker landed on the ground about 20 feet from me and just sat there looking right at me. That doesn’t happen too often. It was as if he/she wanted me to get a good look. A very beautiful bird, I might add. Also when I got to the house Saturday the Northern Kingbird babies were all standing at attention when I entered the house in their nest. I went to take a picture and they all took flight and were just flying about the Hobbit house with their parents. I think they were waiting for me to say goodbye. Pretty cool. I’ve been struggling with my computer and the whole downloading of the pictures from the iPhone to the computer thing. Ever since that computer guy came in to fix our computer I’ve been having this ongoing struggle with the download. So annoying. I’m not gonna even go into the details. The bottom line is I gave up on it and now that it’s Sunday evening I’m behind the eight ball so to speak as far as writing the bog is concerned. Sorry. This is gonna be rushed. 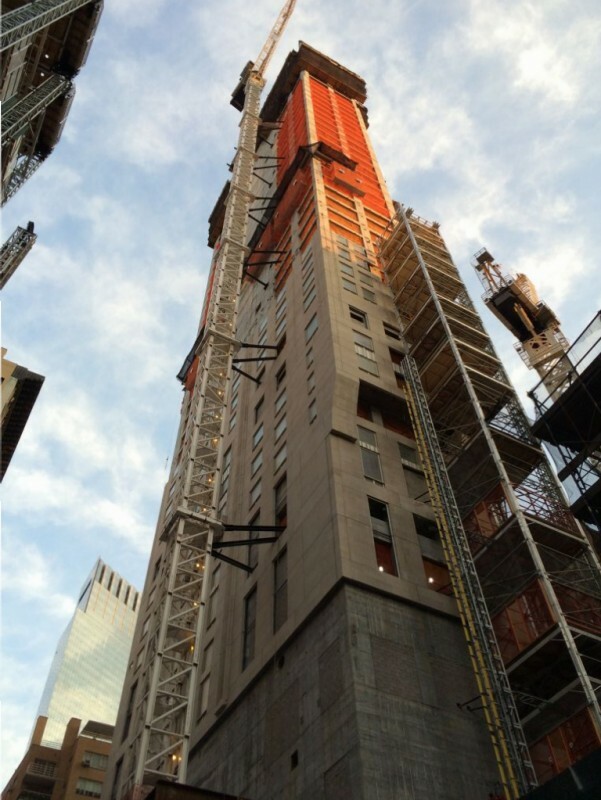 Oh, before I begin here’s a shot of the job on 220 Central Park South. Poured 41st floor the other day. 30 floors to go. Really getting up there now. So let me show you what we accomplished this weekend shall we. The first problem I noticed when I arrived is that I nailed this 2×4 down onto the sill and I hadn’t waterproofed anything. I really don’t know why I did that last week. I guess I was all worked up about getting going on the install and wasn’t thinking straight. Let me show you. 2×4 that the window will sit on. So the window is going to sit on that 2×4. 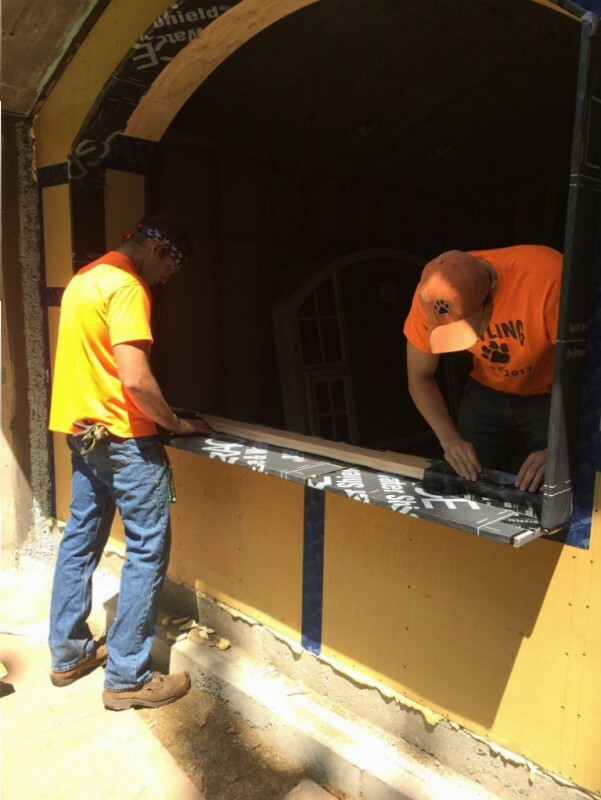 This will raise the window above the plywood elevation so we can later on pitch the sill of the window away from the window. We’ll get into that later on down the road. What I wanted to do is waterproof that whole sheet of plywood so it would be protected forever. 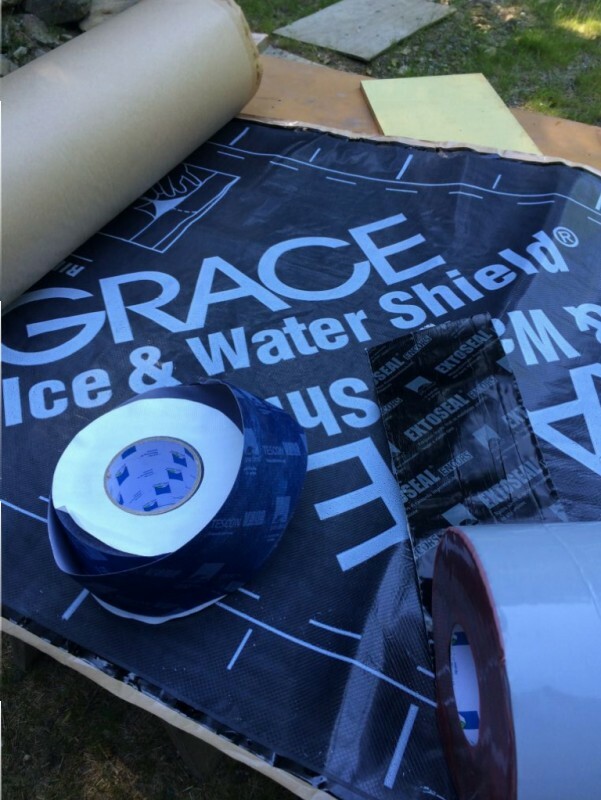 I used Grace Ice and Water Shield to do it. I used a couple of other products as well. Terence stopped by as I was waterproofing the whole assembly and I showed him what I wanted to do. It’s pretty simple but rather time consuming. 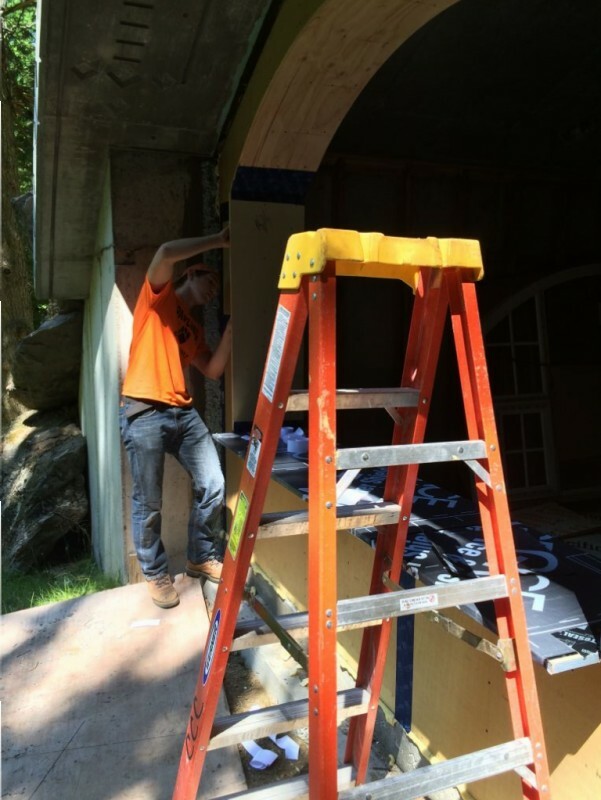 The first step was to seal all the plywood joints with the Tescon Vana tape and then hit the other areas with the water shield. The corners of the 2×4 sill plate I used this heavy duty stuff called Extoseal which is supposed to last for 100 years give or take a couple. Here’s Terence working away. 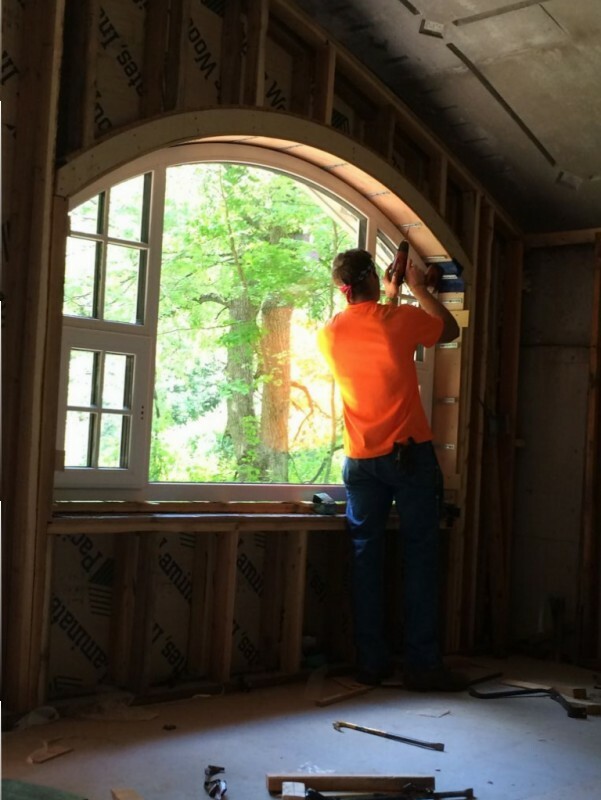 Terence air sealing the joints in the window. Good shot of the ladder! Jude and Terence putting on the final touches. As you can see Jude stopped by to give us a hand with the heavy lifting. The heavy lifting wasn’t too bad. 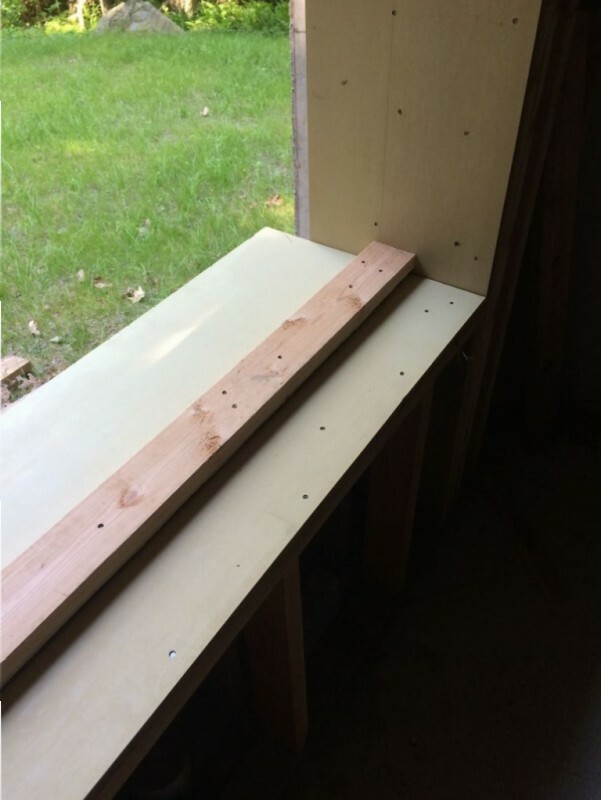 The three of us picked up the window and laid it in place on the sill. I think we all crushed our fingers a little bit at one point but we got it in place without losing any fingers. That was encouraging. We had a bit of trouble getting the window on the sill. I used a combination of things to get it done but the learning curve is over now. I came up with an ingenious way to set the balance of the windows so it will go a lot smoother. I’ll set that up next time. Here are the boys hanging onto the window while I ran around like a chicken with my head chopped off trying to get this thing in place. Don’t let it fall over!!!! Everything always turns into some sort of stupid joke with these two. We did finally secure the window and I sent the two of them for lunch. I used a laser level to set the two ends plumb and also to level the sill which was off more than I would like to admit. 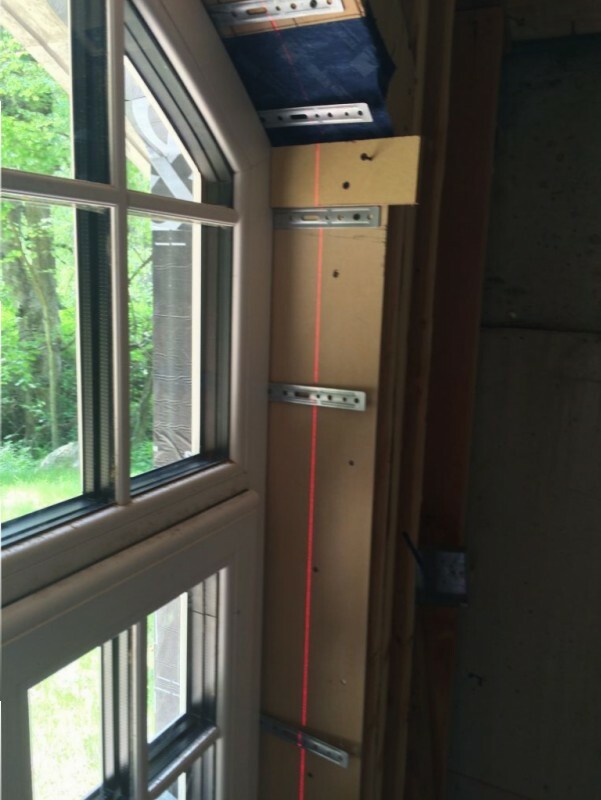 Plumbing the window with the laser level. The laser level is perfectly plumb so you just use your ruler and make sure you are reading the same measurement off the laser line. Then you know you are right on the money. Once everything is to your liking you have Jude secure everything with the screw gun. Very Hobbitesque and Very Nice!!! P.S. Whaddya mean you got troubles in ya student career with da English compostition classes? We was taught by da best – Johnny O ‘uhhhh’ Orcutt and Sr. ‘where am I?’ Freda! Hey Mike! Thanks for writing as always. Yeah Jumping Johnny O. Remember? I still remember him talking about Edgar Allen Poe. He was drunk in the class too. I mean that’s apparently clear to me now. Sister Freda is still teaching there if I’m not mistaken. I think she’s 128 years old. Must have a little Numenorean blood in her. Anyway sorry for taking so long to write back. Been getting home so late from work. I really just check in and check out how the Mets are doing and go to sleep.